The search engine celebrated with a special "Google Doodle" video on its U.S. homepage. 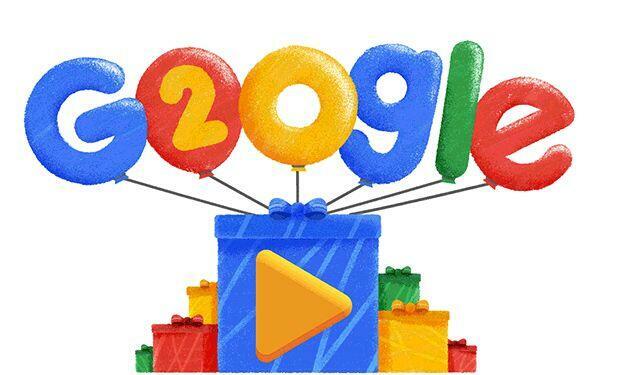 The fun, animated video noted some of the most common Google searches throughout the company's history. One popular search from 1998, its first year in operation, was a simple question: "What is Google?" Other popular searches in the last 20 years include "What will happen on Y2K" -- the start of the year 2000 -- "is Pluto still a planet," "what is a selfie," and, more recently, "show me pictures of cute animals." Google also created a special 20th anniversary website, 20years.withgoogle.com. The site tells visitors interesting search trends throughout Google's history. For example, David Beckham was the most-searched soccer player from 2000 to 2004. And Jessica Alba was the most-searched female actor from 2005 to 2007. Two doctoral students from Stanford University, Larry Page and Sergey Brin, launched the search engine in September 1998. Their aim was to make the world's information more useful and more organized. This is huge, it's the search engine to end all search engines. These two movies are in a dead heat for the best female actor award at the Oscars. 5.And Google is the most visited site in the world, according to Alexa Internet. 6.Along with the special Doodle Thursday, Google also took a look back at some of its most memorable Doodles. She took a look at the angry butcher and ran out. He took a look at the book and then shook his head.